This accurate, low-recoil .38 Special load from Federal is perfect for range use with your .38 Special or .357 Magnum revolver. 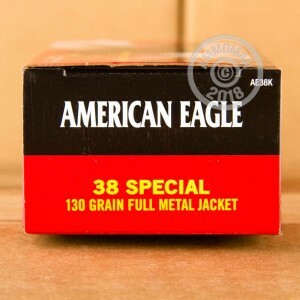 Packaged in a case of 1,000 (comprising 20 boxes of 50 rounds each) for high-volume use and bulk savings, this ammo features a 130 grain full metal jacket bullet as well as non-corrosive Boxer primers. 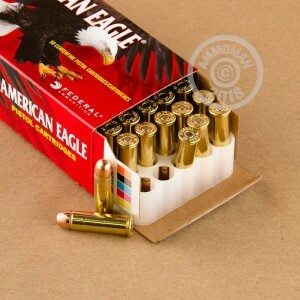 The reloadable brass casings are particularly handy here since you can simply dump them out of the cylinder into a container instead of picking them individually off the ground. Compared to the lead-nosed rounds often found in .38 Special, these rounds offer greater protection against lead exposure and barrel fouling. They are particularly handy for indoor ranges, which often prohibit the use of LRNs due to safety concerns. 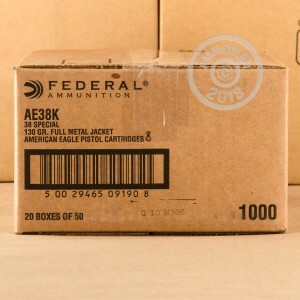 AmmoMan.com offers free shipping on all orders over $99 including 1,000 round cases such as this one. No matter how heavy the shipment, you pay only the list price. I think this is a great product and would buy another case when needed.